To access the full article visit The Conversation website. In 2009, Bassirou Bonfoh, director of the Centre Suisse de Recherches Scientifique (CSRS) in Cote d’Ivoire joined forces with 10 other African institutions to collaborate on research into infections that pass between animals and humans, many of which are now sadly world famous including Ebola, HIV and Zika. The collaboration enabled him to access data from as far afield as Tanzania and extend his remit to rift valley fever, an infection that has had several outbreaks since its first detection in 1931. Crucially, in doing this he has avoided duplicating research. Even though most African countries face similar health and developmental challenges, researchers work in silos, wasting limited human resources and infrastructure. Central to all metabolomics studies is the accurate identification and elucidation of changes in small molecule profiles related to changes stimulated by the environment or pathogen attack whether in humans, animals or plants. This approach makes use of analytical techniques such as mass spectrometry and nuclear magnetic resonance and has received more attention in recent years. Compounds identified through metabolomic profiling represent a range of intermediate metabolic pathways that may serve as important biomarkers in animal and plant research and is therefore considered a valuable approach for elucidating metabolic changes associated with a phenotypic change. 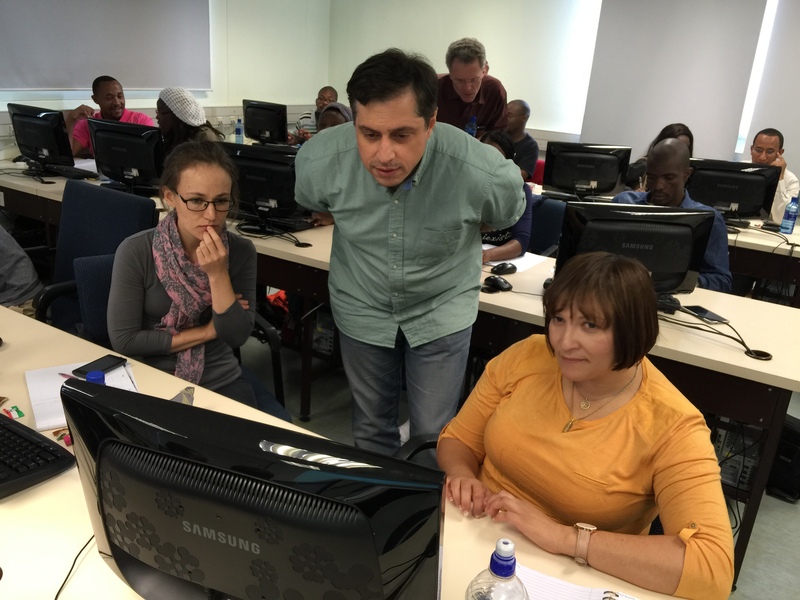 An exciting 5-day Metabolomics workshop was hosted between the 7th and 11th of March 2016 in series of ‘omic-based workshops hosted and funded by the ACGT and Bioinformatics Service Platform (BSP). The workshop aimed to provide a platform for discussion of the key questions and challenges in the field of metabolomics, from study design to metabolite identification. This workshop was designed to include lectures, computer-based tutorial sessions, participant presentations and interactive group discussion. 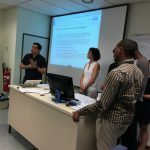 The ACGT were extremely privileged regarding the facilitation of these workshops as they managed to secure several international and local trainers; all of whom possess a wealth of expertise and knowledge in different aspects of Proteomics and Metabolomics. International trainers included: Dr Reza Salek (University of Cambridge), Dr Karl Burgess (University of Glasgow) and Prof Ron Wehrens (Wageningen University). South African trainers included: Prof Ian Dubery, Dr Edwin Madala and Mr Fidele Tugizimana (all from the University of Johannesburg), as well as Prof Alvaro Viljoen (Tshwane University of Technology). The workshop kicked off with a fun “ice-breaker” session, where attendees had a few minutes to introduce themselves, their research interests and their expectations from the workshop. 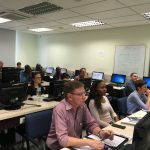 The remainder of the workshop was made up of a combination of lecturers, hand-on tutorials, group presentations, group discussions and computer-based exercises. The workshop ended positively, as participants and trainers were enthusiastic about setting up a South African metabolomics community moving forward, where the community are able to learn from each other based on shared experience. Possible future collaborations were also discussed. 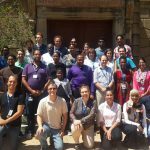 Professor Viness Pillay, Director of the Wits Advanced Drug Delivery Platform Research Unit and his team have been awarded a new Center of Excellence (CoE) in “Translational Neuromaterials” by the African Network for Drugs and Diagnostics Innovation (ANDI). This new CoE will be integrated into their existing CoE on “Advanced Drug Delivery Technology” previously awarded by ANDI and to will be renamed as “Advanced Drug Delivery Technology and Translational Neuromaterials”. The focus of the all-encompassing CoE will be on the development of drug delivery technologies specifically targeting neurological disorders and includes the brain, spinal cord, cranial nerves, peripheral nerves and nerve roots. Emphasis will be placed on epilepsy, neurodegenerative disorders such as Parkinson’s disease and Alzheimer’s disease and other dementias, cerebrovascular diseases including stroke, migraine and other headache disorders, multiple sclerosis, neuroinfections, brain tumours, traumatic disorders such as brain trauma and neurological disorders as a result of malnutrition. The future of nanoscience is poised to make significant life changing breakthroughs for human kind in this defined area of Translational Neuromaterials, i.e. advanced biomaterials modified for the enhanced treatment of neurological disorders. The team will design translational neuromaterials for pharmaceutically-enhanced neuro-gadgets and implantable neurodevices to target human neuro-spaces that will allow us to effectively treat individuals suffering from chronically debilitating CNS illnesses. Professor Viness Pillay, Director of the Wits Advanced Drug Delivery Platform (WADDP) Research Unit and SARChI Chair in ‘Pharmaceutical Biomaterials and Polymer-Engineered Drug Delivery Technologies’ has been elected as a Fellow of the prestigious Academy of Translational Medicine Professionals (ATMP) Vienna, Austria. The ATMP is endorsed by the European Society for Translational Medicine (EUSTM) and the Global Translational Medicine Consortium (GTMC). Professor Pillay has been recognized for his pioneering determination to advance translational medicine in the area of pharmaceutical product development using drug delivery technology principles. Fellow status to the ATMP is highly competitive and is operated under the European Society for Translational Medicine (EUSTM). Fellow status is awarded exclusively to highly experienced professionals who have a track record of significant achievements in translational medicine (from benchside to bedside). The goal of the ATMP is to set the standards for excellence in the field of translational medicine and is designed to promote and maintain high quality research that leads to translational medicine. 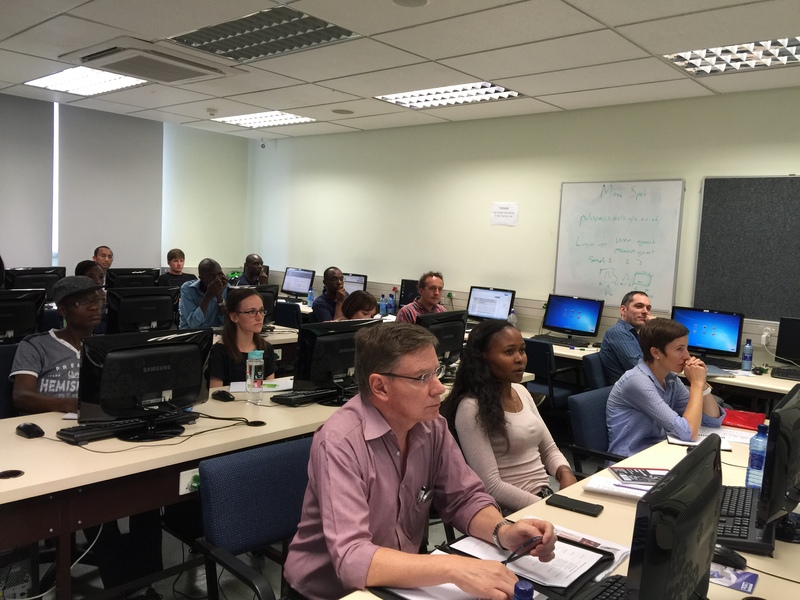 The 6th ACGT Proteomics workshop kicked off at the University of Pretoria (UP) on the 1st of February 2016. Returning workshop facilitator, Prof Lennart Martens (from Ghent University) presented a two-day workshop to an enthusiastic group of delegates represented by UP, the Agricultural Research Council, the Council for Scientific and Industrial Research , University of Free State and the National Health Laboratory Services. 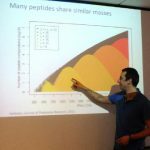 Prof Martens gave a series of lectures and practicals on de novo sequencing, protein identification issues, protein inference and metaproteins. Ms Tracey Hurrell, a senior PhD student at UP, stood in for Prof Kathryn Lilley at the UP leg of the workshop. Ms Hurrell spent 18 months in Prof Lilley’s lab in Cambridge as a fellow and therefore was the perfect stand-in for Prof Lilley. Ms Hurrell gave lectures on post translational modifications, protein-protein and protein-RNA interactions, and spatio-temporal proteomics. The lectures were well received by the delegates and the round table discussion sessions afforded the delegates the opportunity to interact with the experts and ask for guidance with regards to their own research. Prof Duncan Cromarty from UP and Dr Stoyan Stochev from CSIR (both experts in the proteomics field) were there to assist with the round table discussions. 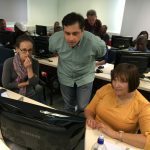 The two-day workshop was replicated in Cape Town at the University of Cape Town (UCT) on the 4th to the 5th of February. 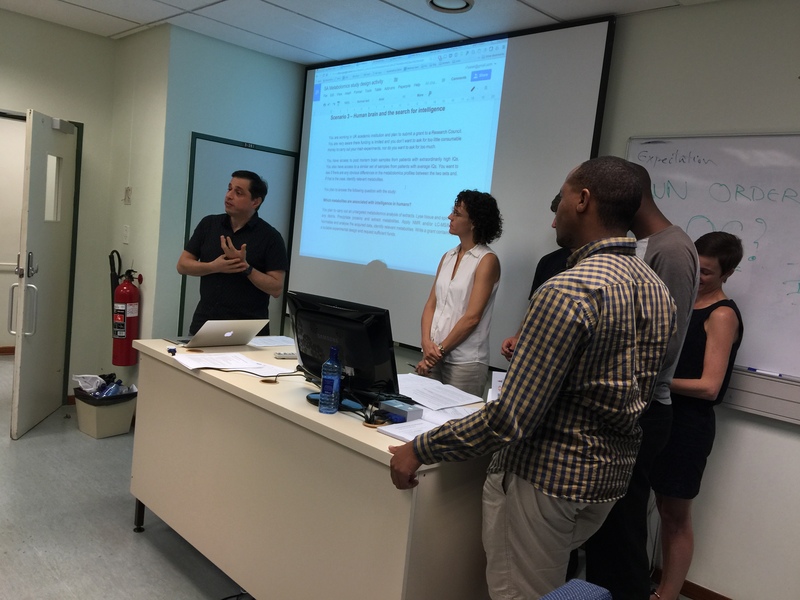 Prof Jonathan Blackburn’s lab at UCT hosted the workshop in conjunction with ACGT; with Prof Martens and Prof Lilley facilitating the workshops. 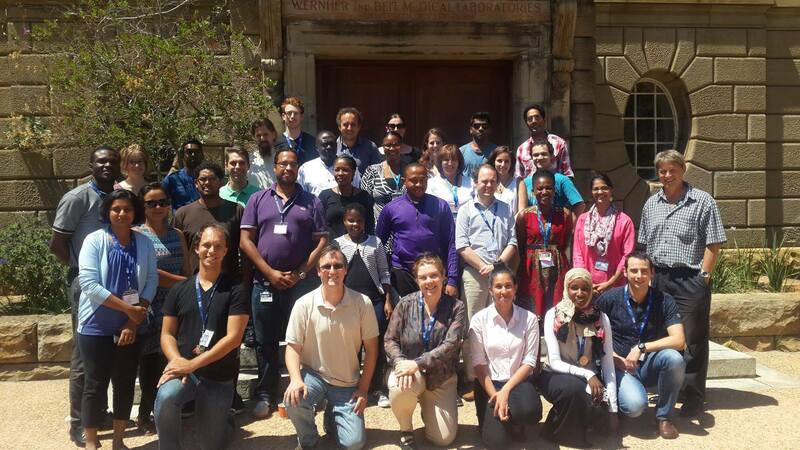 The delegates who attended the UCT workshop were from UCT, Stellenbosch University, K-RITH and CPGR. The facilitators used the same programme that they used at UP. Some of the Western Cape proteomics experts that assisted the facilitators during the round table discussions included Drs Zack McDonald and Nelson Soares, and Proffs David Tabb and Jonathan Blackburn. 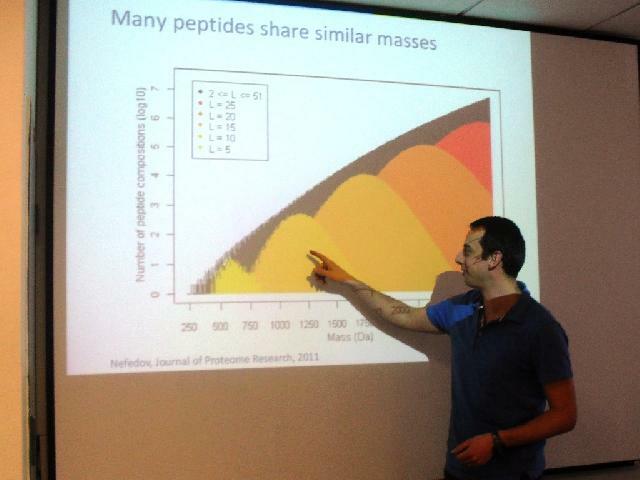 Talks about forming a formal Proteomics Society came up after the UCT leg of the workshop. The ACGT plans to have a Proteomics symposium later this year. A formal discussion about the Proteomics society can be held at the symposium. The ACGT will also host a Skyline workshop in December for data analysis. Details about the two events will be circulated in due course. The organizers and facilitators wish to express their sincere gratitude for the financial assistance provided by the Bioinformatics Service Platform (BSP). 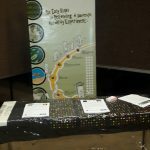 The ACGT had its first Plant Biotechnology Research Infrastructure Exhibition day on the 12th of November 2016. 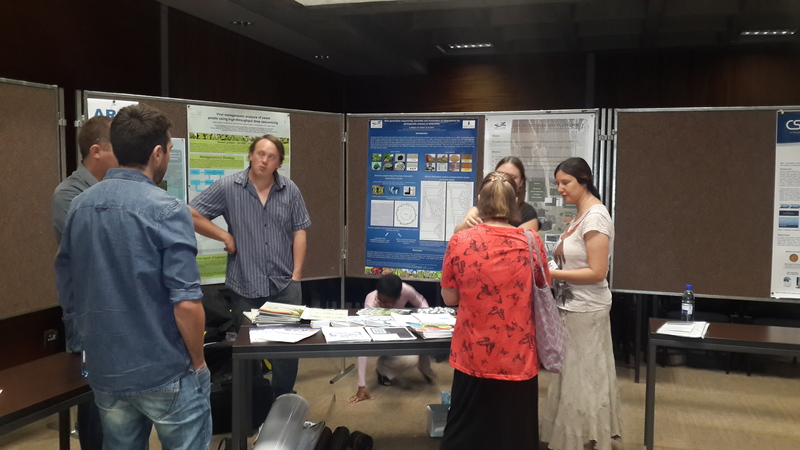 This event took place at the University of Pretoria’s Plant Science Complex and was attended by 20 students, lecturers and researchers from all the ACGT partner institutions. 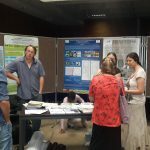 The ACGT usually has two Plant Biotechnology Forums per year but this year only one plant forum was held at the beginning of the year and the exhibition day replaced the 2nd forum for the year. The aim of this exhibition day was to afford the ACGT partner institutions the opportunity to showcase their shared equipment/facilities that cater to the plant biotechnology community. The event was informal and the attendees had the platform to interact with the facilities managers (or representatives). Attendees were provided information about the equipment and services offered as well as discussed future collaborative projects. 1. 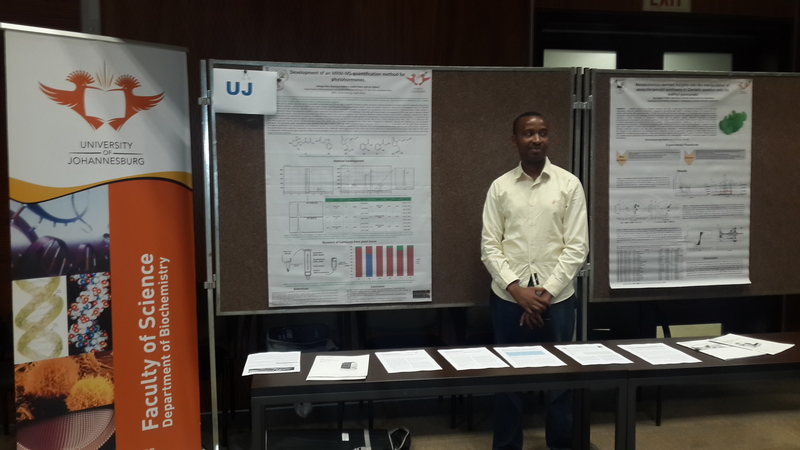 University of Pretoria (UP): UP showcased their QuantStudioTM 12K Flex Real-Time PCR platform. This platform aims to promote large-scale quantitative real-time PCR-based functional research at UP and at a national level. 2. 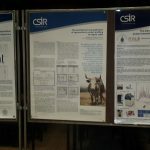 Council for Scientific and Industrial Research (CSIR): The CSIR exhibited their Biosciences proteomics and Biomolecule Characterisation facility. This facility applies a range of techniques (including high resolution, high mass accuracy mass spectrometry) to quantitatively characterize complex lysates as well as recombinant peptides, proteins and antibodies. 3. Agricultural Research Council (ARC): The ARC displayed their Illumina MiSeq and Illumina HiSeq2500 platforms that generate NGS datasets ranging from 125 to 300bp in size. The platform also hosts a Laser Capture Microdissection (LCM) microscope , high throughput, automated liquid handling robotics systems, and a high performance compute cluster for data analysis and data storage. 4. University of Pretoria (UP): UP showcased their Ion Torrent Sequencing Facility that provides high-quality high-throughput sequencing solutions to researchers in South Africa. The Ion Torrent Personal Genome Machine housed in a dedicated laboratory in the new Plant Sciences Complex is capable of generating up to 2 GB sequence data from single or multiplexed samples. 5. 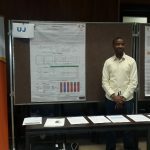 University of Johannesburg (UJ): UJ exhibited some of their recent results on the use of LC-MS based Metabolomics approaches in Plant Biotechnology research as well as MS-based phytohormone analysis. The Shimadzu Nexera UPLC ultra-fast LC , Shimadzu LC-IT-TOF-MS and Shimadzu 2010 Ultra GC-MS equipment were showcased. 6. 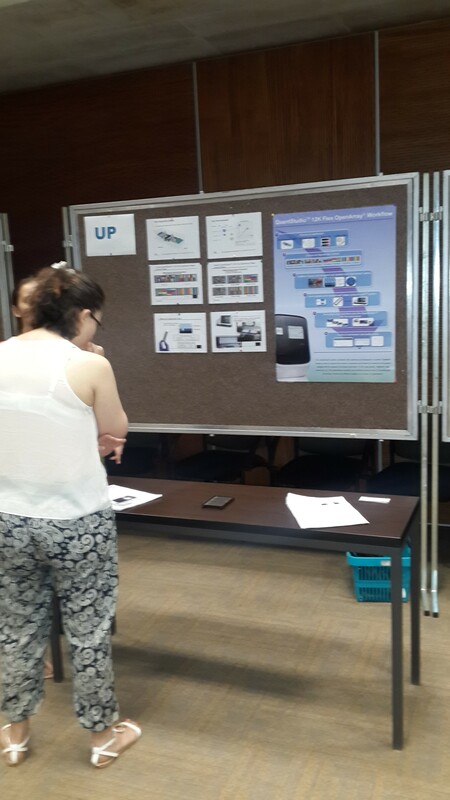 University of Pretoria (UP): UP also exhibited their ACGT Microarray Facility. This facility supports research projects utilizing the Agilent platform for microarray studies. Catalog arrays for model organisms, or custom arrays with flexible array configurations provide a good balance between cost and data throughput. All the required hardware for hybridising Agilent slides are available in the facility. The ACGT hopes to have another exhibition day in the near future. The 1st plant event for 2016 will be the 12th Plant Biotechnology forum to be held at the Council for Scientific and Industrial Research. 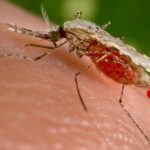 Using a groundbreaking gene editing technique, scientists have created a strain of mosquitoes capable of rapidly introducing malaria-blocking genes into a mosquito population through its progeny, ultimately eliminating the insects’ ability to transmit the disease to humans. 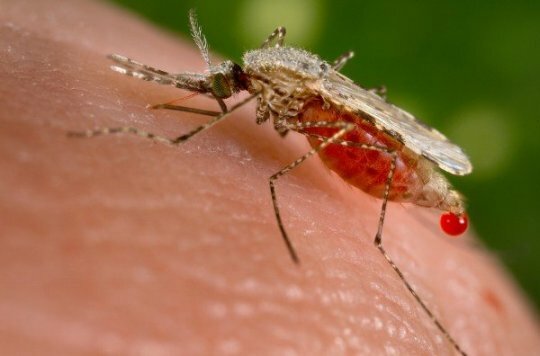 This new model represents a notable advance in the effort to establish an antimalarial mosquito population, which with further development could help eradicate a disease that sickens millions worldwide each year. 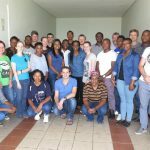 2015 marks the first year that a student team from the University of Pretoria (UP) participated in the International Genetically Engineered Machines (iGEM) competition and only the third time that an African team participated in this prestigious event. The International Genetically Engineered Machines (iGEM) competition which started at the Massachusetts Institute of Technology (MIT) annually draws hundreds of high school and university teams from around the world to compete in what has become the premier international synthetic biology student competition. Synthetic biology is an emerging field that combines modern molecular biology and systems engineering concepts to develop innovative solutions, such as cancer-targeting viruses, novel biosensors, or even DIY biological 3D printers. The Forest Molecular Genetics (FMG) Programme, with support from the Department of Science and Technology (DST), sponsored seven undergraduate and one BSc Honours student to participate in the iGEM 2015 competition. The team (Pretoria_UP) was mentored by Dr Steven Hussey and additionally advised by Prof Zander Myburg and Dr Eshchar Mizrachi from the Department of Genetics and Forestry and Agricultural Biotechnology Institute (FABI) at UP. Pretoria_UP team representatives, Mr Gert Pietersen and Ms Nomakula Zim won a bronze medal at the 2015 iGEM Giant Jamboree in Boston, MA (24-28 September) where they presented their “Switch-coli” project to an international audience. They gained valuable insight into the iGEM organisation, which they will share with the rest of the team in preparation for the 2016 competition where the team aims to make their mark. The team used DNA BioBricks, the standard parts of synthetic biology, to design a genetic program controlling bacterial chemotaxis (movement in response to a chemical gradient). 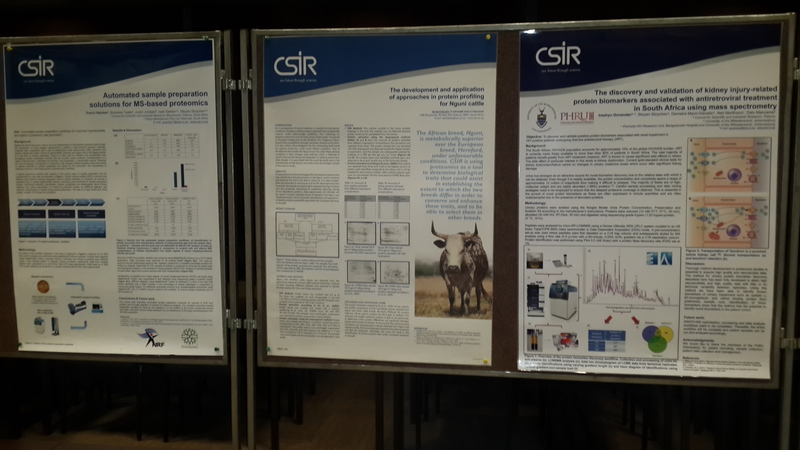 Their design improves a “bio-tweet” principle by the WITS-CSIR_SA team in 2011. This means that motile bacteria travel from a sender position to a recipient position, turn around synchronously only when most of them have arrived at the recipient, and then travel back to the sender, relaying information on the state of the recipient. They registered seven new BioBricks in the Standard Registry of DNA parts, synthesized six and submitted three BioBrick DNA samples to the Registry. 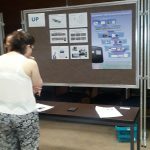 They also compiled a comprehensive wiki of their project, delivered an oral presentation, as well as a poster, to the iGEM community and judges. 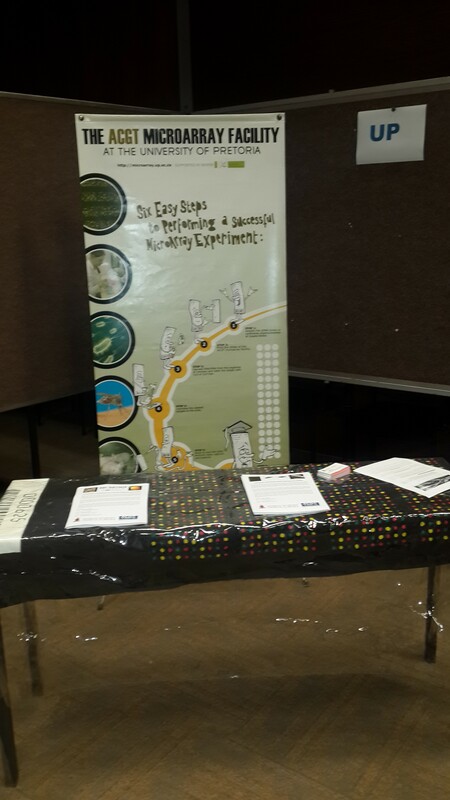 In addition, the team reached out to Grade 11 learners in the previously disadvantaged community of Mamelodi, educating them about synthetic biology and conducting a survey assessing differences in awareness, perception, attitude, and future projections of synthetic biology among learners from schools in previously disadvantaged and advantaged backgrounds. This work comprised the team’s Human Practices portfolio and revealed striking socio-economic influences on synthetic biology acceptance and awareness. 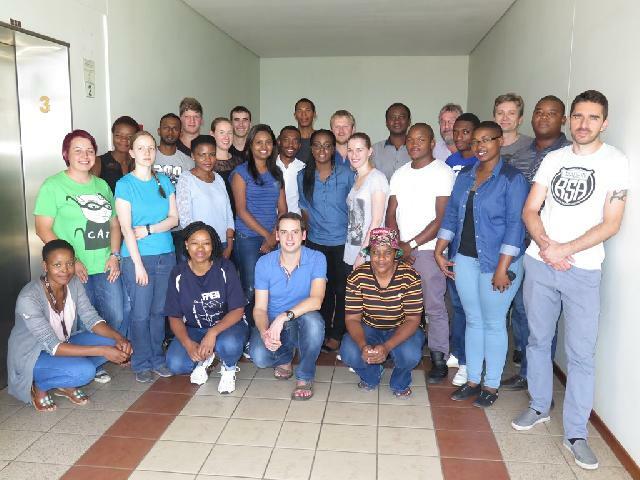 The Pretoria_UP iGEM initiative is a community project within the FMG Programme, which aims to attract and develop scarce skills in synthetic biology innovation. The vision of this project is to participate in iGEM regularly and to encourage other South African institutions to form teams, and thereby stimulate a new generation of students who will develop synthetic biology solutions for the South African Bio- economy. Forests worldwide are continually under threat from introduced insects and pathogens despite the best biosecurity efforts. Without a concerted global effort to understand and control invasive pests the problem is expected to worsen as international trade increases. In a review article, published in the prominent journal Science, Prof Mike Wingfield and his co-authors from the Forestry and Biodiversity Institute (FABI) at the University of Pretoria (UP) assert that an integrated global strategy is urgently needed to protect our forests. Profs Wingfield, Bernard Slippers, Brenda Wingfield from FABI and Dr Eckehard Brockerhoff, Principal Scientist at Scion in New Zealand, considers the urgent need for a global strategy to keep planted forests healthy. They reflect on the global value of plantation forests that are seriously threatened by invasive pathogens and insect pests. Globalisation is compounding this issue, and while there are solutions – including biosecurity, biological control, breeding, genetic engineering, environmentally safe chemical control and more – to protect forests, the lack of investment, capacity, and coordination of global efforts are barriers. ‘More and more pests are emerging. Their impact is a growing concern as one in every six people rely on forests for food globally, and many more depend on them for climate regulation, carbon storage, health (through improved water and air quality) as well as the wood and wood-product industries,’ explained Prof Wingfield. In South Africa, forestry contributes around R45 billion a year to the economy. ‘Keeping invasive pests out of forests should be a top priority for all countries,’ he said. The authors said that the only way to realistically deal with tree pests will be through global collaboration – sharing experience and research findings. While bodies like the International Union of Forest Research Organizations (IUFRO)help to facilitate collaboration, there is no single body or funding structure to support a global strategy for dealing with pests in planted forests. According to the researchers, the perfect time to talk about this issue is now, as the World Forestry Congress of the Food and Agriculture Organisation (FAO) of the United Nations (UN) is focusing on forest health and sustainability when it meets in September in South Africa. 2 See Fig. 2 of the paper for the spread of pitch canker. Story by Ansa Heyl, Newsroom, University of Pretoria.